The stars appear in the sky as twinkling points of light of varying brightness and colours. Unlike the Moon or the planets, no surface or features are visible on the stars even through very powerful telescopes. Even so, astronomers have been able to determine many of the properties of the stars simply by studying the light reaching the Earth. A glance at the night sky is enough to show that the stars are of differing brightness. In astronomy, brightness is measured by the apparent magnitude scale. This is a system that uses the stars themselves as standards rather than using energy units. The magnitude scale was developed by the Ancient Greek astronomer, Hipparchus, around 120 BC. It was originally a rough visual system. The brightest stars were said to be of the first magnitude, the next brightest were second magnitude stars. This continued down to sixth magnitude stars at the limit of naked eye visibility. Note that the brighter stars are associated with the smaller magnitudes. The six magnitudes do not represent a linear scale. A sixth magnitude star is not one sixth as bright as a first magnitude star. The scale is actually a logarithmic one. A star of the first magnitude is about 100 times brighter than a star of sixth magnitude. This system was made exact in 1854. A star of magnitude 1 was defined as being exactly 100 times as bright as a star of magnitude 6. There are five magnitudes between 1 and 6. Since 100 is 102, a little mathematics shows that each whole number value on the magnitude scale differs from the next by a factor of 102/5 (the fifth root of 10 squared). 102/5 is roughly equal to 2.512. In other words, a first magnitude star is 2.512 times brighter than a second magnitude star. A second magnitude star is 2.512 times brighter than a third magnitude star, and so on. The difference between two magnitudes is 2.512 x 2.512 (approximately 6.310). So a first magnitude star is 6.310 times brighter than a third magnitude star. Modern stellar magnitudes are often given to two decimal places. For example the magnitude of the star, Deneb is given as 1.25. Aldebaran has a magnitude of 0.85. When the magnitudes of stars were measured accurately using this new definition, some stars were found to be brighter than first magnitude. Arcturus, for example is found to have a magnitude of 0.00. Sirius, the brightest star, has its magnitude given as -1.46. In the other direction, Polaris, the northern hemisphere Pole Star, has a magnitude of 2.00, Merak (in The Plough) +2.40. The planet Uranus, on the limit of naked eye visibility, has a magnitude of 5.7. The other planets can also have their brightness measured on the magnitude scale. Jupiter has a magnitude (at its brightest) of -2.6, Venus, the brightest planet, can reach magnitude -4.4. The Full Moon has an apparent magnitude of -12.5 while that of the Sun is -27. The faintest stars visible to the naked eye on a clear Moon-less dark night are of magnitude six. The minor planet Pluto has a magnitude of +14, far too faint to be visible without a powerful telescope. A formula links the brightness of two stars (b1 and b2) with their magnitudes (m1 and m2). Question: How much brighter does Arcturus (magnitude, m = 0.00) appear than Deneb (m = +1.25)? b1 / b2 = 10(2/5)(m2 - m1) = 10(2/5)(+1.25 - 0.00) = 10(2/5)(+1.25) = 100.5 = 3.16. Answer: Arcturus appears just over 3 times as bright as Deneb. Question: How much brighter does Sirius, the brightest star (m = -1.46), appear than the barely visible planet Uranus (m = +5.7)? b1 / b2 = 10(2/5)(m2 - m1) = 10(2/5)(+5.7 - (-1.46)) = 10(2/5)(+5.7 + 1.46) = 10(2/5)(+7.16) = 102.864 = 731. Answer: Sirius appears over 730 times as bright as Uranus. Question: The most brilliant planet is Venus which can reach a magnitude of -4.4 at its brightest. How much brighter than Sirius (m = -1.46) can it shine? b1 / b2 = 10(2/5)(m2 - m1) = 10(2/5)(-1.46 - (-4.4)) = 10(2/5)(-1.46 + 4.4) = 10(2/5)(+2.94) = 101.176 = 15. Answer: At its brightest, Venus shines 15 times brighter than Sirius. For more information refer to the list of the 20 brightest stars. Originally, apparent magnitudes were measured with the naked eye, comparing the star being studied with certain standard stars with known magnitudes. Later, photography was used, being more accurate and less subjective. In addition, large numbers of stars could be dealt with quickly. Modern methods use photoelectric devices that actually measure the quantity of light reaching the Earth from a star. The distance to the nearer stars can be measured by trigonometric parallax. This involves measuring the position of an object from two different locations. The two locations form a baseline. In general, the longer the baseline, the further the distance that can be measured. On the Earth, this technique is used in surveying. The diameter of the Earth and the distances to the Moon and Sun were worked out by simple trigonometry after observations from different points on the Earth's surface. However, the stars are too distant for a terrestrial baseline to be of any use. To measure stellar distances a larger baseline is required. In the 1830s, stellar distances were measured by using twice the distance between the Earth and the Sun as the baseline. The diagram below indicates the procedure. The nearby star whose distance is to be measured is observed from Earth 1. Its position against the further background stars is noted either visually or photographically. Six months later, the Earth, as it orbits the Sun, will be at Earth 2. The star is observed again. If the star is closer than the surrounding stars, its position should be different relative to these background stars. This change in position, measured as an angle, is twice the parallax, 2p. In the diagram above, A is the (known) distance between the Earth and the Sun, while d is the distance to the star. The value of A is 149 million km (or 93 million miles). Even with this large distance as a baseline, the parallax of even the nearest star is very small. The diameter of the Sun or Moon as seen from the Earth is half a degree. A degree (°) is made up of 60 minutes of arc. A minute (') is made up of 60 seconds of arc. A second ('') is thus 1 / 3600 of a degree. A small coin seen from 10km will subtend an angle of 1''. The parallax of even the nearest star is less than a second of arc. The largest parallax figure ever found is for the third brightest star, Alpha Centauri, and has a value of 0.76''. The diagram below shows the trigonometry of parallax measurements. The Earth, Sun and star make up a right angle triangle with the Sun at the right angle. The distance between the Earth and the Sun, A, is known. The angle on the right is half of the parallax, p, which has been measured. The distance to the star, d, can be calculated by trigonometry as indicated below. where p is in seconds of arc. The units of the distance, d, is whatever units are used to measure A. This is 40 million million km. In miles the distance is 2.52 x 1013 (or 25 million million). In either case, normal units are clearly inadequate for stellar distance. For Alpha Centauri, d = 206,265 / 0.76 = 271,401 AU. In other words, the nearest star is over 270,000 times further away than the Sun. Even the AU is an inadequate unit for stellar distances. For Alpha Centauri, d = 3.26 / 0.76 = 4.30 LY. Light takes four and a third years to travel from this star, the nearest star, to the Earth. This compares with the 8 minutes required for light to cross the distance between the Earth and the Sun. A star with a parallax of 1 second of arc (1'') is at a distance of 1 parallax second, which is better known as a Parsec (pc). Alpha Centauri is = 1 / 0.76 = 1.32 pc distant. The 20 brightest stars vary in distance from 4.30 LY (for Alpha Centauri) to 1,800 LY (for Deneb). Proxima Centauri +10.7 0.763 1.31 4.27 A companion to Alpha Centauri - this is the nearest star but is nearly 5 magnitudes too faint to be visible with the naked eye. Alpha Centauri 0.0 and 1.4 0.752 1.33 4.33 A binary star consisting of two stars that appear as one to the naked eye. This is the third brightest star in the sky. Barnard's Star +9.5 0.545 1.83 5.98 Another star too faint to be seen with the naked eye. WISE 1049-5319 +14.9 0.496 2.00 6.60 This is the faintest star in the table. It is a binary pair of brown dwarfs visible mainly in the infra-red. Wolf 359 +13.7 0.425 2.35 7.67 Too faint to be visible with the naked eye. Lalande 21185 +7.5 0.398 2.51 8.19 Yet another faint star. Sirius -1.5 and 8.7 0.375 2.67 8.69 The brightest star is also one of the closest. It has a faint companion. Two interesting points can be made from this table. Of the seven stars closest to the Sun, only 2 are visible to the naked eye. Furthermore, three are binary systems consisting of more than a single star. This is a very different list to the brightest stars. Trigonometric parallax is accurate to about 200 pc (650 LY). Several tens of thousands of stars have had their distances measured directly using this technique. Beyond that distance other, indirect, methods have to be used. Some of these are summarised below and will be discussed in other essays. Many of these indirect methods involve determining a star's luminosity (the amount of light emitted by a star) which can then be compared to its brightness (the amount of light that reaches the Earth) to give a distance. Using the spectrum of a star to determine its luminosity. Certain types of Variable Stars have variations in brightness that are dependent on their luminosity. Parallax can be measured by knowing the movements of star clusters. Stars can be grouped into types which determine many of their properties, including luminosity. Binary stars whose masses and orbits are known can have their distance measured by using the laws of gravity. Once the apparent magnitude and distance of a star are known, the star's luminosity can be calculated. The apparent magnitude of a star is how bright it appears from the Earth. It takes no account of how far the star is. To compare how luminous stars really are, astronomers introduce the concept of Absolute Magnitude. Absolute Magnitude is the magnitude a star would have at a standard distance, which has been set to 10 parsecs (about 32 Light Years). The brightness of an object decreases with distance in line with the inverse square law. This means that if the distance is doubled, the brightness decreases by four. A simple formula links Absolute Magnitude (M) with apparent magnitude (m) and distance (d) in parsecs. From a distance of 10 parsecs, Deneb would be a brilliant object appearing three magnitudes brighter than Venus, while our Sun would be one of the less prominent stars. The nearby star, Wolf 359, would be nearly 11 magnitudes fainter than naked eye visibility (apparent magnitude 6). Question: What is the Luminosity of the star Deneb? Answer: Deneb has the luminosity of nearly 70,000 Suns. Question: What is the Luminosity of the nearby star Wolf 359? Answer: Wolf 359 has a luminosity nearly 150,000 times less than the Sun. From the above two examples, it can be seen that stars vary greatly in luminosity. The Sun turns out to be of average luminosity. Some stars can be over half a million times more luminous than the Sun; others radiate a tiny fraction of the Sun's light. Luminosity can also be estimated by other properties of a star, especially its spectrum. This allows astronomers to reverse the procedures above and determine a star's distance. At first glance it might seem an impossible task to measure the surface temperature of a body like a star that is so distant from us. In fact there are several methods. Stars glow because they generate energy. To study the properties of a glowing body, physicists assume that it is a perfect radiator and absorber of radiation. Such an object is called a Black Body. If we assume that a star is a black body, it is possible to measure its surface temperature by studying the radiation given out. A star is not an exact Black Body but it is very close. There are three main methods of measuring stellar temperatures. The first method involves using Wein's Law. A glowing body normally emits radiation over a range of different wavelengths (or colours). The chart below shows the theoretical radiation profile for three different temperatures. There are two points to note from the above graphs. Firstly, the higher the temperature, the more total radiation is emitted (as shown by the curve being higher for all wavelengths). Secondly, the curves peak at a different wavelength for different temperatures. For higher temperatures, the peak of the radiation is at shorter (bluer) wavelengths. The peak of the radiation curve for a body glowing at a temperature of 3000 K is at l1. For a body at a temperature of 4500 K the radiation peak is at l2 which is a shorter (bluer) wavelength. The curve for 6000 K peaks at l3, the shortest wavelength of the three. Longer wavelengths mean redder light. Shorter wavelengths imply bluer light. In physical terms, relatively cool objects glow red. As they heat up they glow orange, then yellow, then white and finally blue. In addition, as a glowing body gets hotter the total amount of energy it emits increases. Wein's Law provides a formula that relates the peak radiation wavelength (lT, in nanometers, nm) with the Temperature, T, of a body in degrees Kelvin (K). When the light of a star is plotted on a graph (Wavelength against Output), it should peak at a particular wavelength. This wavelength can then be inserted into the above formula to give the surface temperature. The table below shows Wein's Law for three stars. The radiation peak for Rigel is in the blue part of the spectrum. For the Sun it is in the yellow. Betelgeux peaks in the red. The temperature of a glowing object is clearly related to its colour. Using Wein's Law to determine stellar temperatures used to be time consuming as each star has to have its energy output analysed over a range of wavelengths. Modern digital devices can obtain the radiation curve and display it on a screen within seconds. The curve used to demonstrate Wein's Law is described by another, more complex idea called Planck's Law. The mathematics of this is more difficult to understand but it can be used to simplify the measurement of stellar colours and temperatures. The apparent magnitude of the stars can be measured photographically or digitally. The values obtained depend on the type of film, photographic plate or digital light cell used. Different devices are sensitive to different colours. For example, some films are at their most sensitive to daylight (which tends to have a lot of blue in it). Other films react best to artificial light (which contains more yellow). Astronomers can use this variation to accurately measure the colour of a star. If a star is photographed using a standard daylight photographic film, the magnitude obtained is called the Photographic Magnitude (mph). If a star is photographed with film or plates sensitive to light like the human eye (to yellow), the magnitude obtained is called the Visual Magnitude (mvs). The colour index of a large group of stars can be easily obtained by taking two photographs and then comparing magnitudes. Modern digital devices can measure specific wavelengths. Question: What is the temperature of the star, Sirius? Question: What is the temperature of the star, Arcturus? Temperature can be calculated very quickly by using a star's colour index but the values are only approximate, especially for the hottest stars. The third technique gives the most accurate measurements of temperature as well as many other stellar properties. If the light from a star is passed through a prism or a diffraction grating, the light of the star is spread out into its constituent colours. This is called a spectrum (plural: spectra). The spectrum of a star is normally a continuous band of colours from violet to red crossed by dark lines. Spectra of stars are of several different types. During the 19th century, astronomers classified the different spectra using letters of the alphabet. Some letters were later dropped. The image below shows the most common spectral types. The differences in the spectral types is mainly due to differences in stellar temperature. In the spectral sequence above, O stars are the hottest, M the coolest. For more accuracy, each spectral type is sub-classified into 10 subtypes. Between G and K we have G0, G1, G2, G3 all the way to G9. Subtype G0 is slightly hotter than G1. Other spectral types exist but these will not be discussed here. The existence of spectral lines can be explained by atomic physics and especially Quantum Mechanics. The lines are produced when atoms (or ions - atoms which have lost electrons) close to the star's surface absorb precise wavelengths of light. The electrons in the atoms change energy levels in a well defined manner when atoms absorb light. The amount of light absorbed by a particular atom is dependent on a number of factors like the abundance of the atom, temperature and pressure. These factors all affect the intensity of a particular spectral line. Some spectral lines are caused by atomic transitions that only begin to occur at a higher temperature. These lines will not be present in cooler stars but will begin to appear in the hotter stars. Lines due to neutral and ionised Helium behave in this way. Other lines are due to atomic transitions that occur at a lower temperature. These lines will be present in the cooler stars. In the hotter stars, the electron causing the line may have been lost and less atoms are producing them. The lines will not be present in hotter stars. Examples are lines of metals like Calcium or Iron or molecular lines (Titanium Monoxide). Some lines appear in the middle spectral types but not in the very hottest (Type O) or coolest (Type M). Lines of ionised metals are very common in these types of stars but the best example is lines of Hydrogen. The diagram below shows the intensities of various selected spectral lines for stars of different spectral types. 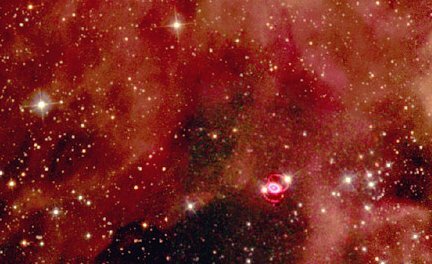 Molecular lines are strongest in the cool, red M type stars. Neutral metals are strongest in orange K stars. Lines of neutral and ionised metals are about equally intense in the yellow, sun-like G stars. Ionised metals are very strong in pale yellow F stars. Hydrogen lines are strongest in the white A stars. Hydrogen and neutral Helium are of equal intensities in the bluish white hot B stars. Ionised Helium is very strong in the hottest type O stars. The properties of spectral lines can be established in the laboratory by experiment and by theoretical calculation. This makes it possible to look at each type of stellar spectrum and apply a temperature to it. On this spectral classification, the Sun is of Spectral Type G2. That means it is two tenths of the way between type G and K. The spectrum contains lines of both neutral and ionised metals which are more intense than lines of Hydrogen. This spectral type indicates a temperature of 5,700 K and a yellow colour for the star. The following table shows the properties of stars of different spectral types. The list of brightest stars contains spectral types. Spectra give very accurate stellar temperatures. Many stars can be photographed to produce large numbers of stellar spectra for analysis. Apart from surface temperature, much more information can be obtained from the powerful technique of Spectroscopy (the study of spectra). Chemical composition - The spectral lines are caused by different types of atoms or ions. The percentage of atoms that are capable of absorbing the energy that causes the spectral line can be calculated by Quantum Mechanics. This can be done for any temperature. The percentage of absorbing atoms (or ions) can be compared with the intensity of the spectral line. This gives the abundance of the atom producing the line. Stars do not differ very much in their chemical compositions. Pressure - Certain spectral lines are affected by the pressure in the gas producing them. At a low pressure the line will be sharp and thin. At a high pressure the line will be thicker and more blurred. At a higher pressure atoms and ions are colliding more and this disturbs the way they absorb energy, making a sharp spectral line more blurred. The surface pressure of a star is related to its size and to its luminosity. The latter can be deduced from the spectrum and used to determine the distance to the star. This is the method of Spectroscopic Parallax. Motion to or from the Earth - Spectral lines are shifted from their correct positions if the star is moving away or towards us. This is the Doppler Effect. When a star is moving towards the Earth, the spectral lines are shifted to the shorter wavelength (blue) end of the spectrum. This is a Blue Shift. When a star is moving away from the Earth, the spectral lines are shifted to the longer wavelength (red) end of the spectrum. This is a Red Shift. The amount of the shift depends on the velocity. Using spectra it is, therefore, possible to measure how a star is moving along the line of sight between us and the star. This is called Radial Velocity. Examples can be found in the list of the Brightest Stars. The radial motions of groups of related stars can also be used to determine parallaxes. Binary Stars - These are pairs of stars orbiting together. Many can be seen through telescopes. If the stars are very close together, it may not be possible to see them separately. The spectrum can then show up that a star is a binary because their spectral lines with be amalgamated. In addition, the motion of the stars in their orbits can be determined by the varying Doppler Effects of the two sets of spectral lines. Rotation - Imagine a star that is rotating rapidly and the axis of rotation is not directly pointing at us. One edge of the star is moving towards us; the other edge is moving away from us. This will cause the spectral lines to broaden since there will be a red shift and a blue shift occurring on the same line. From the amount of broadening it is possible to calculate how quickly the star is rotating. In general, stars of types O, B and A rotate very quickly while the rest rotate more slowly. Magnetic Fields - When a single spectral line is subjected to a powerful magnetic field, it will double and treble. This is called the Zeeman Effect. This can give information about stellar magnetic fields. Atmoshpheric Phenomena - The dark lines of a stellar spectrum are called absorption lines because light is removed by atoms. Some stars contain emission lines which are brighter than the background spectrum. These lines give information about flares and other atmospheric activity in the star. One important conclusion to come from the study of stellar temperatures is that all stars are too hot to contain large amounts of solid or liquid material. Stars are so hot that they are made of gas. Gases obey relatively simple laws. Objects made from gases can, therefore, be investigated more easily than if they were solid or liquid. More than 50% of the stars are Binaries. Some stars appear close together in the sky but are actually at different distances. These unrelated stars are called Optical Binaries. More interesting are the Visual Binaries. These are two stars that are in orbit about each other forming a single stellar system. It is even possible to have systems with more than two stars. The star Castor (one of the twins in Gemini) is a complex system of six stars in orbit around each other. where M1 and M2 are the masses of the two stars (in Suns), a is the mean (average) angular separation of the two stars (in seconds of arc, ''), p is the parallax of the system (in seconds of arc, '') and Y is the orbital period of the stars (in years). The formula gives the sum of the masses of the two stars once a complete orbital revolution has been observed. Question: The two components of the Alpha Centauri system have a mean separation of 17.6'' and an orbital period of 80.1 years. What are the combined masses of the binary? M1 + M2 = a3 / (p3Y2) = 17.63 / (0.7523 x 80.12) = 5451.8 / (0.42526 x 6416.01) = 1.998. Answer: The combined masses of the two stars in the Alpha Centauri system is nearly twice that of the Sun. To find the individual masses of the stars we have to consider exactly how stars orbit each other. In the first case, consider two stars in a binary system of identical masses. When they orbit each other, the point about which they revolve (the centre of gravity) lies exactly between them. This is shown below. Generally, stars in a binary system will be of unequal masses. If one of the stars is more massive than the other, the centre of gravity is closer to the more massive star. In the diagram below, the star on the left is more massive. The masses of the two stars (M1 and M2) can be calculated by measuring the ratio of the two stars' distance to the centre of gravity (x, y in any units). In other words, if star B is twice as far from the centre of gravity as star A, then star A is twice as massive as star B. Question: The centre of gravity between the two stars in the Alpha Centauri binary system is in the ratio 1 to 1.25. What are the individual masses of the two stars? By using simultaneous equations the two masses are found to have values of M1 = 1.11 and M2 = 0.89. Answer: One member of the Alpha Centauri binary system is about 10% more massive than the Sun, the other is roughly 10% less massive than the Sun. The following table shows the masses of selected binary stars. Question: What would be the luminosity of a star with a mass of 2 suns? Answer: Using the formula, L = M3.5 = 23.5 = 11.3. A star twice the sun's mass would be more than 11 times as luminous. Because of the Mass-Luminosity Law, if either the mass or luminosity is measured the other can be calculated. Note that the luminosity of stars increases very rapidly with increases in mass because of the 3.5 power. The diameter or radius of a body determines how large it is. To find the diameter of a celestial body normally involves measuring its angular diameter, knowing its distance and applying trigonometry. Unfortunately, stars do not show a measurable surface (or disk). They are too far away. Even so, there are three main methods for determining the radius of stars. According to Stefan's Law, the amount of energy radiated by a 1m2 surface depends only on the temperature. The higher the temperature the more energy is emitted. If two stars have the same temperature but differ in luminosity, they must possess a different number of square meters. Stefan's Law allows astronomers to measure the difference in surface area of stars if the Luminosity (L in suns) and Temperature (T in K) are known. These are related to the star's Radius (R, also in suns) by the following formula. Note that, the Diameter of a star is twice its Radius. Question: Sirius has a Temperature twice that of the Sun and a Luminosity of 40 suns. What is its Radius (in suns)? Answer: From the formula, R = √L / T2 = √40 / 22 = 6.4 / 4 = 1.6. Sirius has a radius that is 1.6 times larger than the Sun. The Sun's diameter is 1,390,000 km, so the diameter of Sirius is 2,224,000 km. There are a few stars which have very large diameters. Although they cannot be observed directly, it is possible to use the wave properties of light to measure the diameters of a few very large stars. A device called an Interferometer is used to pick up light from opposite edges of the star. These almost parallel light waves interfere with each other in a way that can be observed and measured. The Diameter of the star depends on the wavelength of light used and on the precise nature of the interference pattern. Stars like Betelgeux, Antares and Aldebaran have had their diameters measured in this way. The values obtained agree very well with those calculated using Stefan's Law. Some stars are extremely small and dense. These stars have a very large gravitational field. According to Einstein's Relativity, an intense gravitational field causes a Gravitational Red Shift in the spectral lines. For single stars, it is not possible to distinguish between a red shift caused by the Doppler Effect and the Gravitational Red Shift. However, if the star is part of a binary, the Doppler Effect can be accounted for since it will be the same for both stars. This is assuming that the other star is of normal size. Once the Gravitational Red Shift is known, the Radius can be calculated. Again, the values obtained agree with those calculated using Stefan's Law. Eclipsing Binaries are binary stars which orbit in a plane that is almost edge on as seen from the Earth. Such stars will periodically eclipse each other as they orbit. The velocities of the stars in their orbits can be measured by looking at the Doppler Effect in their spectra. The duration of the eclipses can be measured by looking in detail at how the brightness of the binary varies with time (the Light Curve). These two pieces of information can be used to calculate the diameters of the two stars. The following table lists the diameters of selected stars. These have been determined by a variety of methods. Question: The two stars in the Sirius system (called Sirius A and Sirius B) have masses of 2.28 and 0.98 respectively and their radii are 1.6 and 0.022. What are their densities relative to the Sun? Answer: Using the formula for Sirius A gives r = M / R3 = 2.28 / 1.63 = 2.28 / 4.096 = 0.56. Sirius A is half as dense as the Sun but Sirius B is over 90,000 times denser. Sirius B is dense White Dwarf star. It is so dense with such a strong gravitational field that it shows a Gravitational Red Shift. Luminosity and Temperature are two important properties of stars. These were put together by two astronomers in 1911 to give the Hertzsprung-Russell (H-R) Diagram. In the H-R Diagram, Temperature is plotted along the x-axis. Spectral Type or Colour Index can also be used. For historical reasons, the higher temperatures are on the left of the x-axis. Luminosity (or Absolure Magnitude) is plotted along the y-axis. 90% of the stars are distributed along a diagonal band running from lower right to upper left. This is called the Main Sequence. On the Main Sequence, red cooler stars are dim while blue hotter stars are luminous. The Sun is a typical Main Sequence star. Another smaller band runs almost horizontally on the right of the Main Sequence. These stars are cool and are, on average, about 100 times more luminous than the Sun. They are called Red Giants. Above them are the rarer Supergiants which shine with the power of at least 10,000 suns. Finally, at the lower left are the small, dense, hot White Dwarf stars, less than a hundredth the luminosity of the Sun. This diagram is very important as it groups together different types of stars and allows them to be understood better. For example, the Mass-Luminosity Law is only obeyed by Main Sequence stars. Gaps in the diagram are often regions of instability. The region between the Main Sequence and White Dwarfs is inhabited by stars that vary in brightness and are unstable in other ways. Some of the uses of the H-R Diagram are listed below. The different types of stars on the diagram can be differentiated by their spectra. This allows distances to groups, clusters and individual stars to be calculated. The evolution of and ages of stars can be worked out by studying H-R plots for many different clusters of stars. Different populations of stars (often with slightly different chemical compositions) can be identified and analysed. This essay is dedicated to Premika Rajamooni, Gavin Bryan, Tim Hale, Darren Toomer, Kimberley Smith. Tables and explanations of the brightest stars in the sky. Sines, cosines and tangents. Solving triangles. An easy-to-understand scaling of the Universe in space. Distances in space are represented by the time light takes to travel there. An easy-to-understand scaling of the Universe in time. The chronology of the Universe is compared to a real year. A historical account of the discovery of the electromagnetic spectrum and its uses in Astronomy. Radio waves, infra-red, visible light, ultra violet, X-rays and gamma rays are explained. A brief explanation of how atoms work.